Whether you want to become a self-made millionaire or simply own your own home, Carleton's No Down Payment® home study program can help you achieve your dreams. 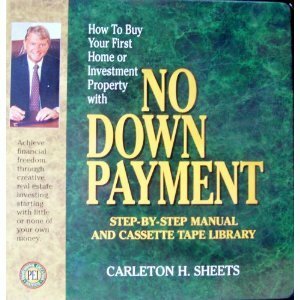 This program, which has been sold on television since 1983, includes everything you need to know to start investing in real estate using Carleton's creative techniques ... The CD format lists for $249.95 on the NO MONEY DOWN web site. Listening by cassette is a substantial savings! View More In Retirement Planning. If you have any questions about this product by The Professional Education Institute, contact us by completing and submitting the form below. If you are looking for a specif part number, please include it with your message.